What more could you want in a college class than one dedicated entirely to the Beatles? And did I mention it comes complete with a trip to Liverpool and London to follow in the band’s footsteps? Ball State University gave me that opportunity this spring. I waved to Yoko Ono; dined with Paul McCartney’s brother, Michael; visited Eleanor Rigby’s grave; and sang with a Beatles cover band at the Cavern Club. The trip was the pinnacle of my university experience. And the fun didn’t stop there, as this Sunday I will sing along to Beatles and Wings songs with my parents (and hopefully many of you) at Bankers Life Fieldhouse, as Paul McCartney’s “Out There” tour rocks and rolls through town. In preparation, let’s brush up on some Beatles trivia. Some of these questions are easy, others more difficult, and a few may surprise you. The answers appear at the end of the quiz. Most important, enjoy Sunday’s show—and remember, you’re never too old (nor too young) to belt out your favorite Beatles song. 1. All of the Beatles added a bit of their own creative flair when renovating the Casbah Club. After 54 years, John Lennon’s Aztec-inspired doodles still remain painted on the ceilings along with his “I’m back” carving. What is McCartney’s interior-design claim to fame in the Casbah Club? A. Paul and Linda, Inc.
3. McCartney soaked up inspiration everywhere he went. What popular 1960s album inspired him to write Sgt. Pepper? 4. How many steps does it take to cross Abbey Road if you are a 5-foot-2 female? The answer to this question is nearly as difficult as answering, “How many licks does it take to get to the center of a Tootsie Pop?”—but it can be done. Just check www.abbeyroad.com/Crossing for a live feed of such attempts 24 hours a day. 6. The McCartneys’ brotherly love is evident in all of Michael’s stories, but he uses an unusual term of endearment when referring to his brother. What is Michael’s nickname for Paul? 8. Many conspiracy theories surround the alleged death of Paul McCartney. 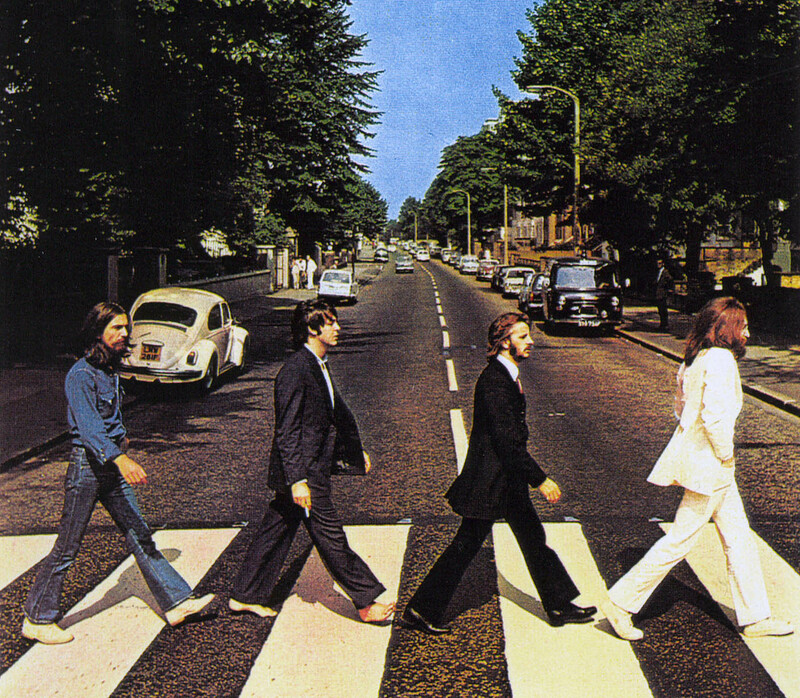 How does the Abbey Road album cover serve as a supposed clue to these theorists? 10. Since the beginning, Paul has expanded his musical ability through collaboration with many talented musicians. Which of these men has not written music with Paul McCartney? 11. Some of the most memorable photos of the Beatles were taken behind the scenes and away from the crowds of screaming fans. Who was the main photographer for the Beatles after their return from Hamburg? 12. The musical structure of many Beatles songs matched the meaning behind the lyrics. The descending chord progression of which song matches its similarly depressing lyrics? 13. What is the name of the street where George Harrison grew up? He also used this name as an alias when hitting on women during nights out in Liverpool. 14. Paul McCartney and John Lennon didn’t always know each other. In fact, Paul had to prove himself to John during their first meeting. Where did Paul and John’s first encounter take place? 15. 34 Montagu Square in London is where Paul McCartney recorded “Eleanor Rigby,” Jimi Hendrix lived and recorded “The Wind Cries Mary,” and John Lennon and Yoko Ono rented and took the photo that eventually became the cover of their Two Virgins album. Who was the famous landlord of this popular location? Extra Credit: If you want to visit the Cavern Club on your birthday, how do you get the Beatles cover band to play “Birthday”? 1) A. Rainbow ceiling. 2) B. MPL Communications. 3) D. Pet Sounds by The Beach Boys. 4) Eight. 5) “Scrambled eggs.” 6) A. Our Kid. 7) Jelly beans. 8) Harrison as gravedigger; McCartney as corpse; Starr as undertaker; Lennon as preacher or heavenly being. 9) The Grapes. 10) D. Bruce Springsteen. 11) Michael McCartney. 12) B. “Eleanor Rigby.” 13) Arnold Grove. 14) C. At a church in Liverpool. 15) C. Ringo. BONUS: Throw a paper wad with the request onstage and smile. See Amanda Heckert’s editor’s note in the July 2013 issue for more on McCartney. Paul McCartney concert, July 14, 8 p.m., at Bankers Life Fieldhouse, 125 S. Pennsylvania St. Tickets available at www.ticketmaster.com.